Volleyball Offensive Systems. Which One is Best for Your Team? There are multiple volleyball offensive systems that you can choose to use. The question is which on is best for your team? What are the positives and negatives of each system? In the video clip below David Barkley, Head Volleyball Coach at Cheyenne Mountain High School, discusses the strengths a weaknesses of six different volleyball offensive systems. This system is best for younger or less advanced teams. The positives of this system includes that fact that everyone get to hit and everyone get to set. In other words, everyone gets a chance to do everything. This is good for young kids and as a coach you get to see what everyone can and can’t do. The downside is that you can get caught in some bad rotations (bad passes, setter, hitter etc..) and could your team some wins. In this offense you will have a setter every other person. They will set when in they are middle front and right front. This offense will help you develop several setters, but is very predicable. For those reasons, this offense is better with younger players/teams. This system allows an easier transition for setters, making it easier for them to learn how to set. On the negative side, in this system you will not have a strong right side or middle. This is the most common volleyball offensive system in high school, club and college. If you have a really good setter this works. Your hitters will get more consistent sets. Playing the 5-1 can cause a problem if your setter is a poor blocker. However, if she is indeed a good setter, she is probably going to win more points for you than she costs you in blocking department. Use this system to take advantage of 3 strong middle blockers an/or right side hitters. 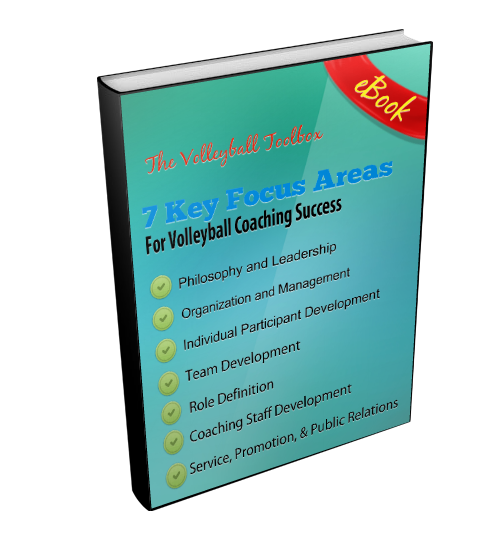 To be effective the middle hitters and right side hitters must be versatile. If this fits your personnel, this system will give you a great blocking team. This system will create one rotation with one of your outside hitters playing rightside. This system will create a strong block team also as you will always have 3 hitters in the front row. Two setters can cause some problems. Two setters means two different styles and quality of sets. This system will also cause you to use more substitutions. In conclusion Coach Harvey states that you should list the five things that your value most in an offensive system. Then looking at that list and evaluation of your personnel make a choice which of the volleyball offensive systems is best for your team. Most importantly, ask yourself who you want on the floor making plays? Choose a system that gets those players on the floor most often. This presentation, is taken from Coach Harvey’s presentation at a recent Glazier Volleyball Clinic. For information about how to gain access to his complete presentation (Building a Successful Offense to Fit Your Personnel) as well as hundreds of other clinic presentations, click the link Glazier Volleyball Clinics.